Is It Razor Bumps or Something More Serious? Have you noticed bumps under your arm that are painful, itchy, or ooze pus? If you haven’t experienced it firsthand, what would you assume it to be? 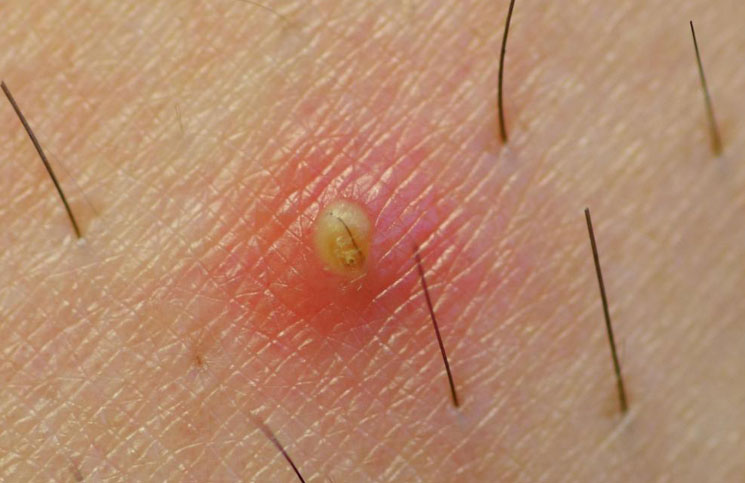 Some may just assume razor bumps or not know at all, while others may say it's ingrown hairs. It can get quite difficult to tell the difference. Especially when considering the person may actually be experiencing an incurable disease called Hidradenitis Suppurativa (HS). What is Hidradenitis Suppurativa and how can you tell? Hidradenitis Suppurativa often resembles razor bumps and hair bumps, so without a doctor’s diagnosis it’s hard to tell what which issue a person is actually experiencing. Every once in awhile, I will notice a bump under my arm that is painful, typically after shaving. For years I thought I was just prone to shaving bumps. After speaking with a doctor this past weekend, I might in fact be experiencing a mild form of HS. The next time I speak to my dermatologist I’ll definitely bring this up for discussion. If you too experience frequent follicle bumps, here is a chart to help decipher what might be causing them. Skin conditions such as razor bumps and ingrown hairs are most likely to be caused by shaving. These two issues are also very similar, but when telling the difference between these and HS, it’s important to note how the hair grows back into the skin, or if it does at all. HS, an infection in the sweat glands under the skin and hair, is not known to be caused by any direct influence, but is due a chronic disease of the body. Unfortunately the cause for this disease is unknown. Thus far 200,000 people a year are diagnosed with HS, but I wonder how many people are suffering with it and have deemed it a simple hair bump? If you have experienced any of the above symptoms and they’ve become painful, or you’ve noticed bumps that won’t go away or appear when you DON’T shave, it may be time to visit a doctor to determine if you are dealing with a more serious condition. Although HS is not life threatening, it can cause severe pain and leave awful scarring.